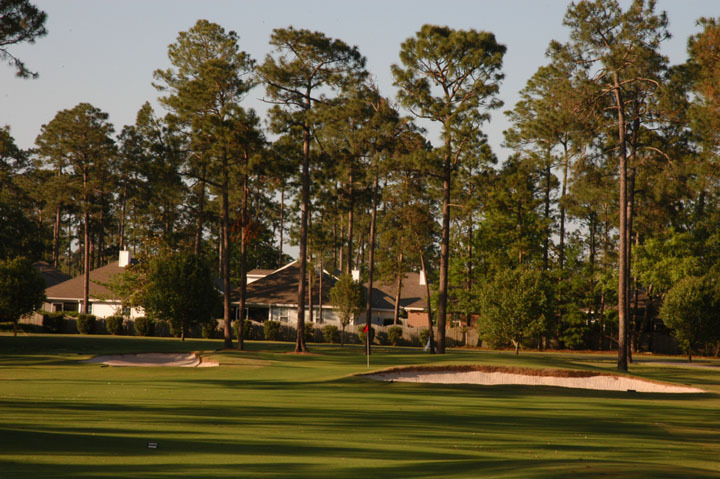 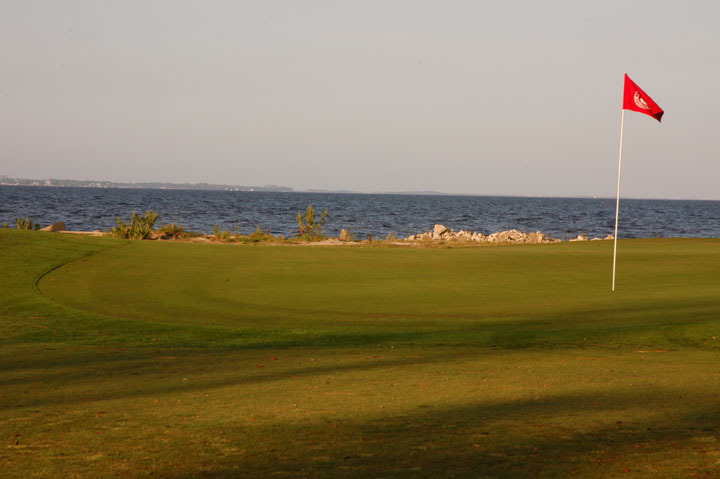 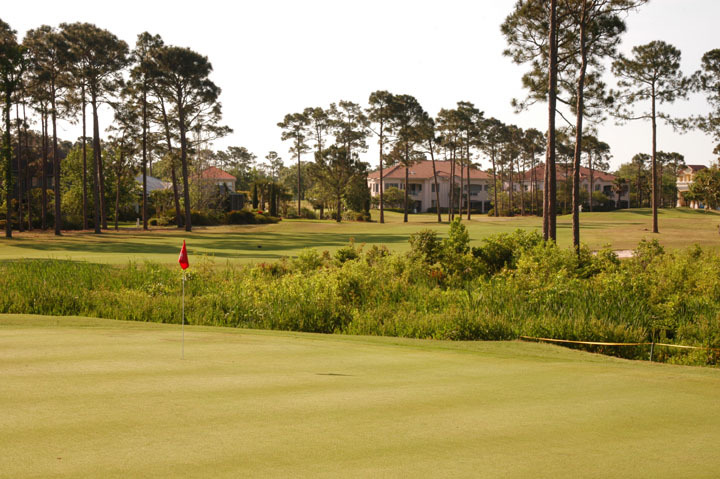 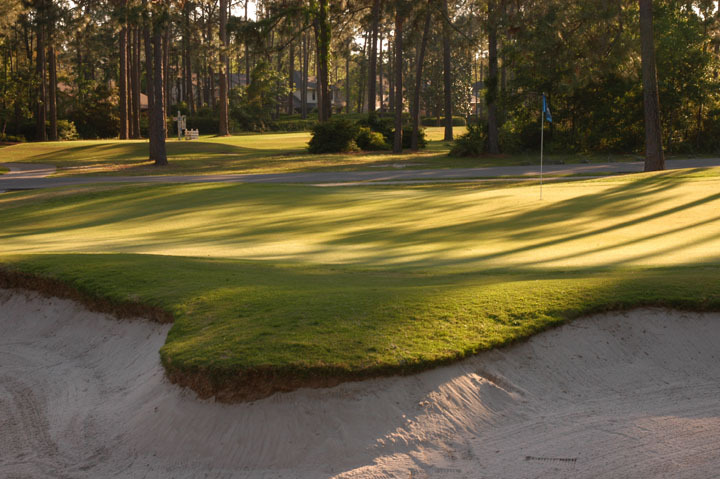 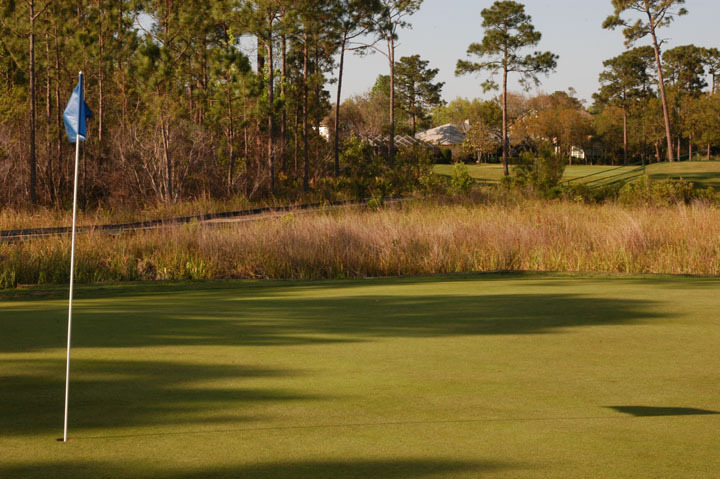 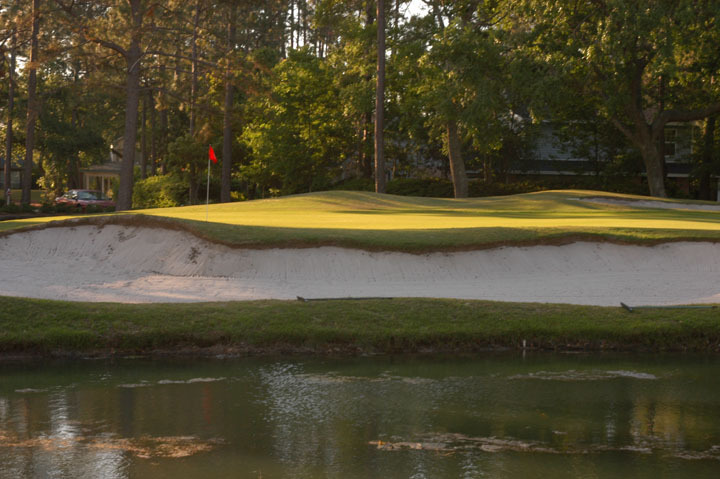 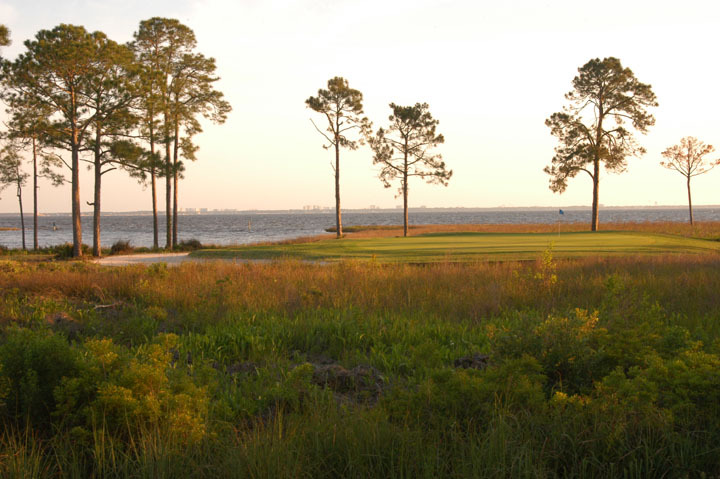 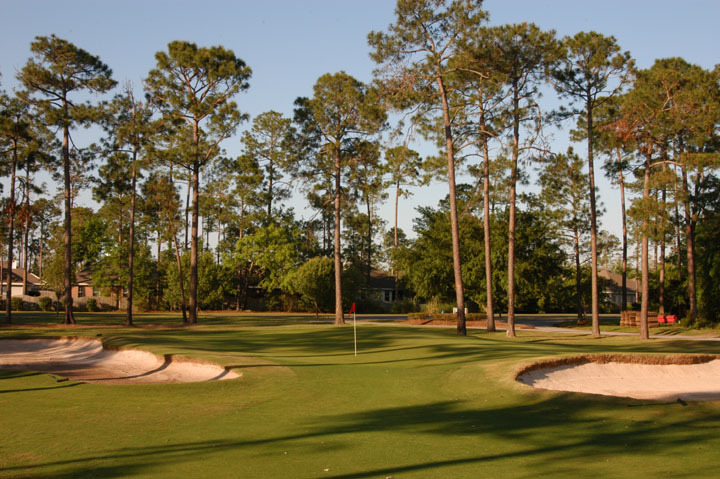 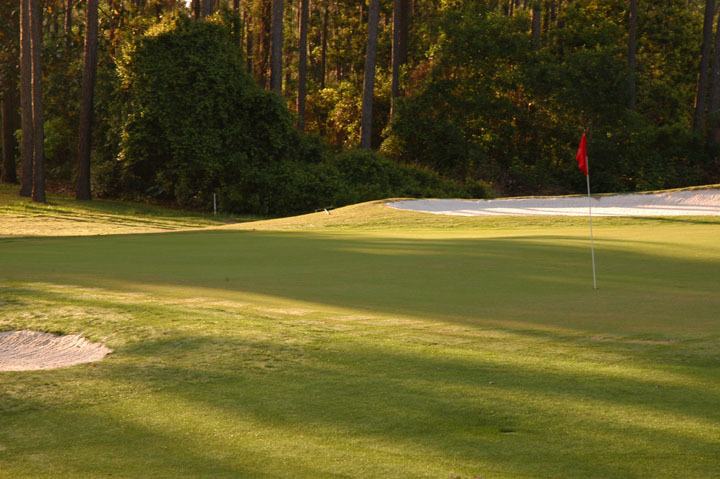 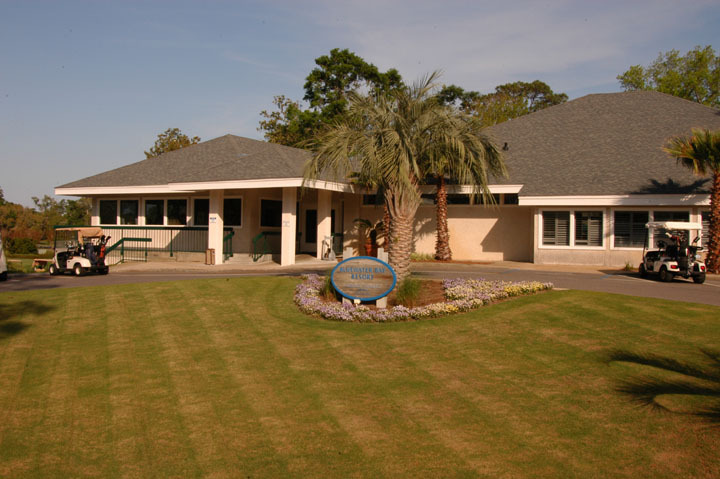 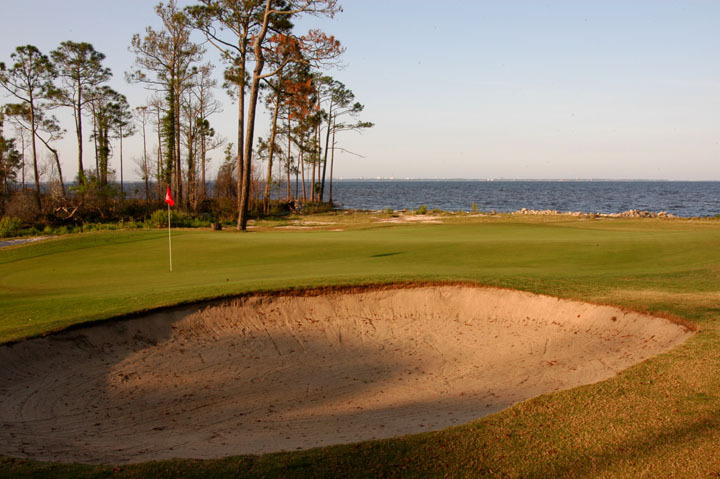 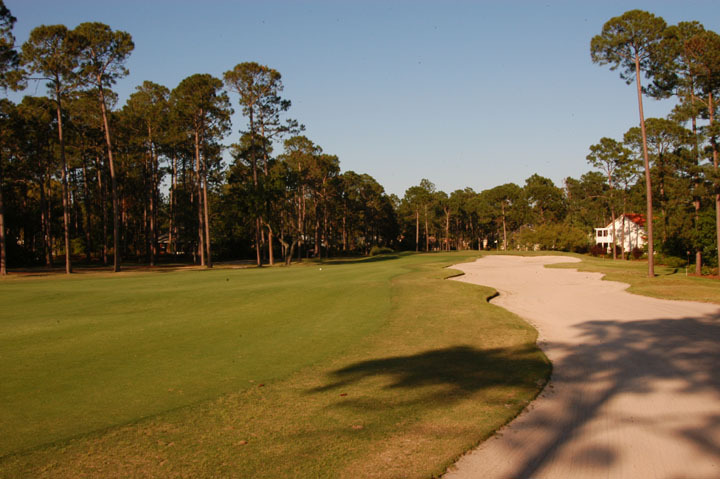 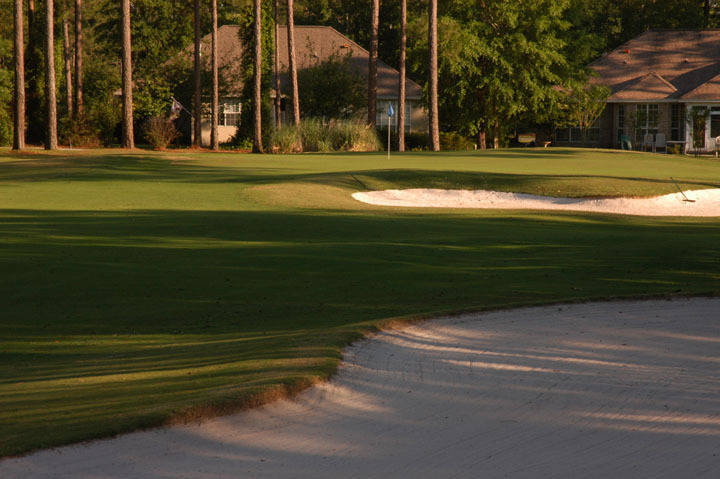 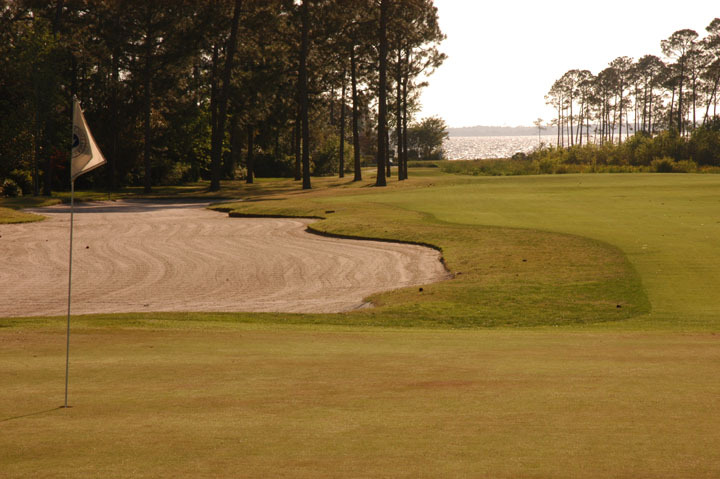 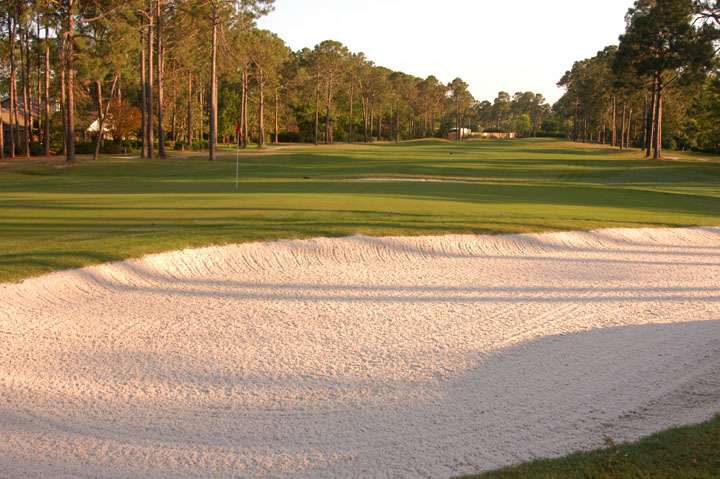 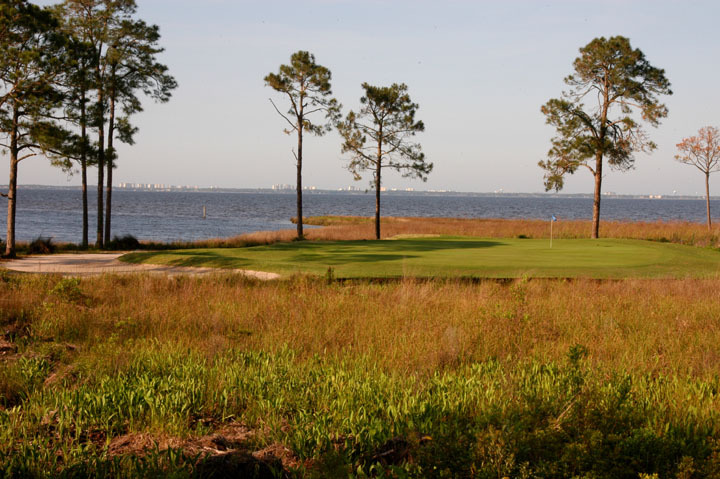 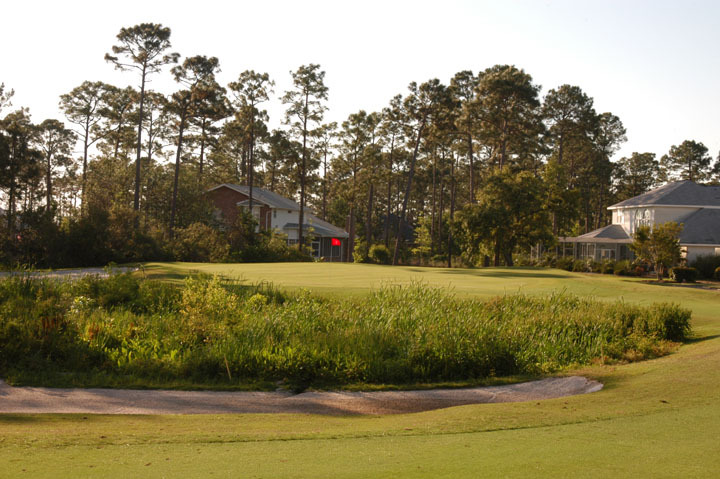 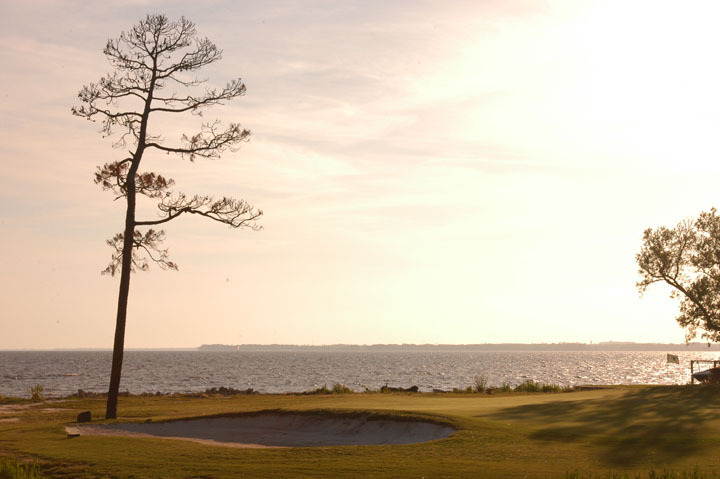 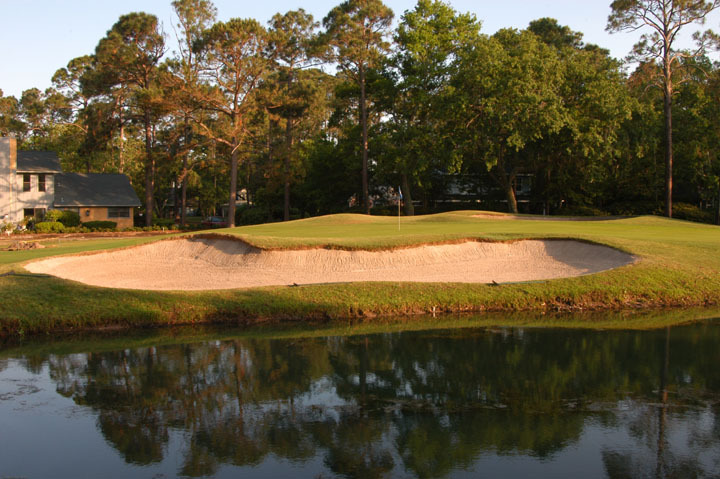 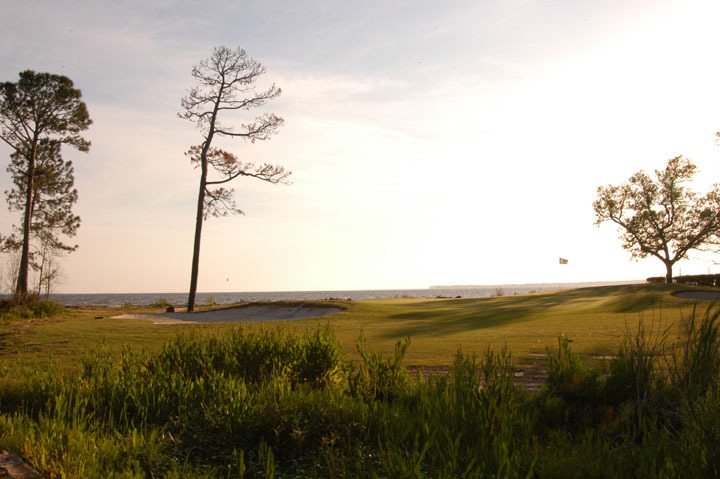 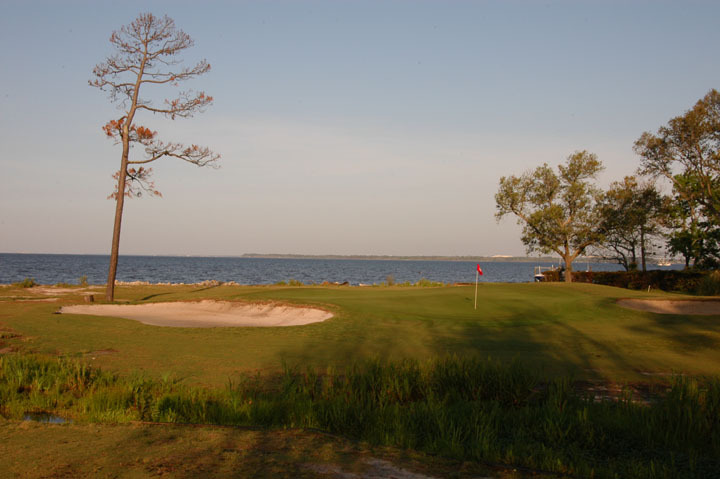 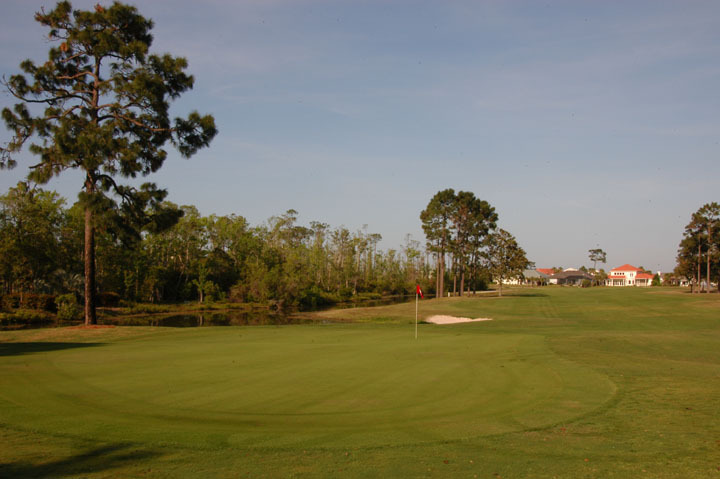 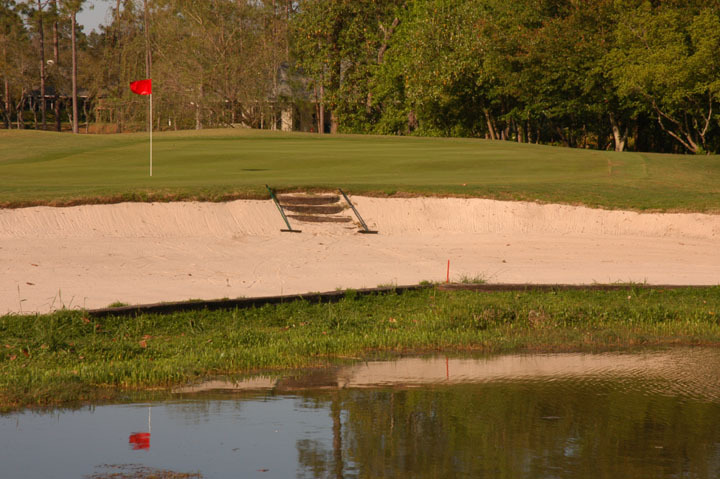 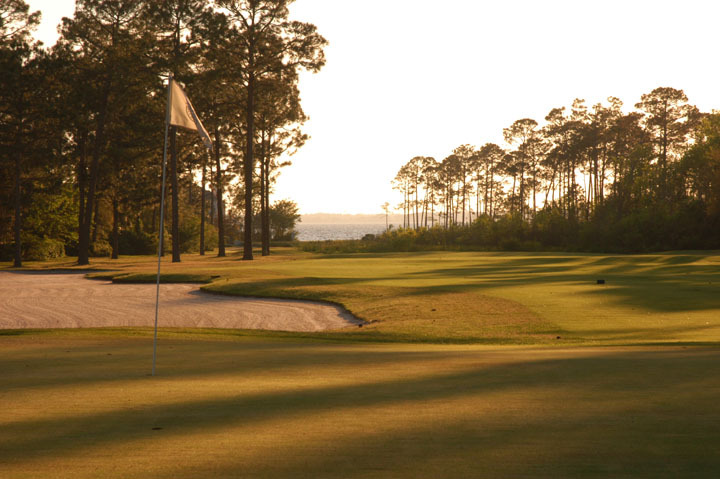 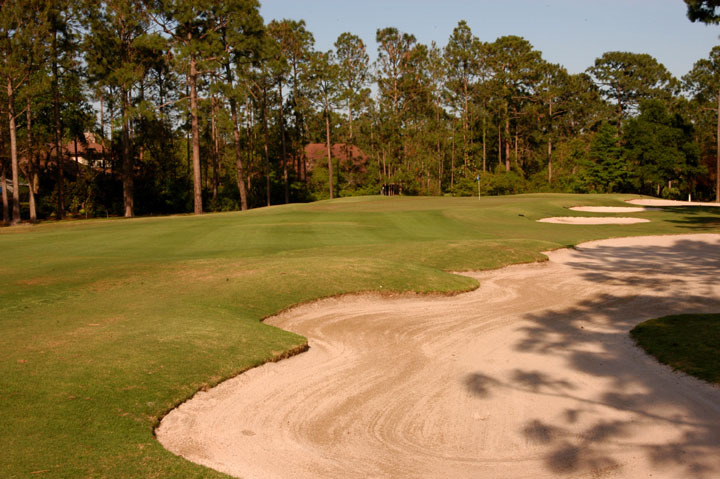 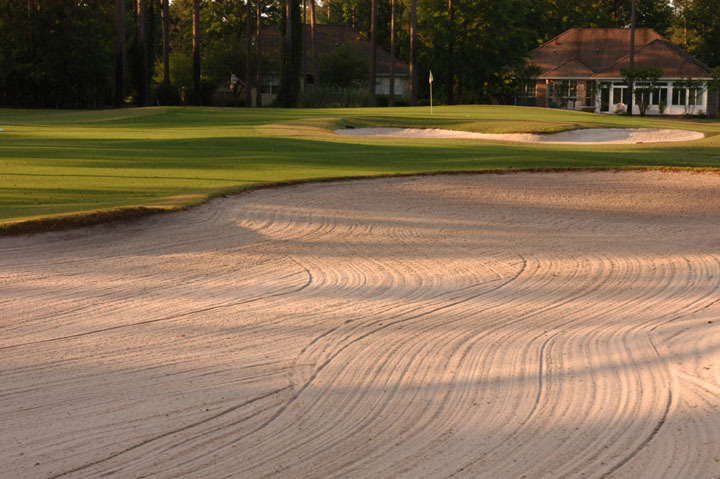 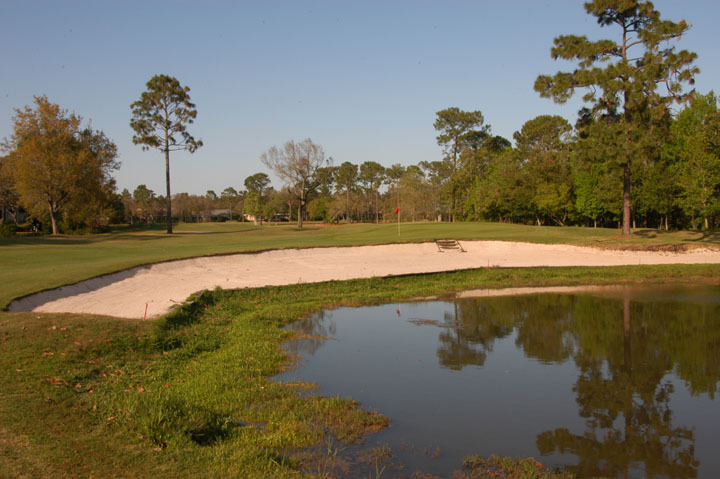 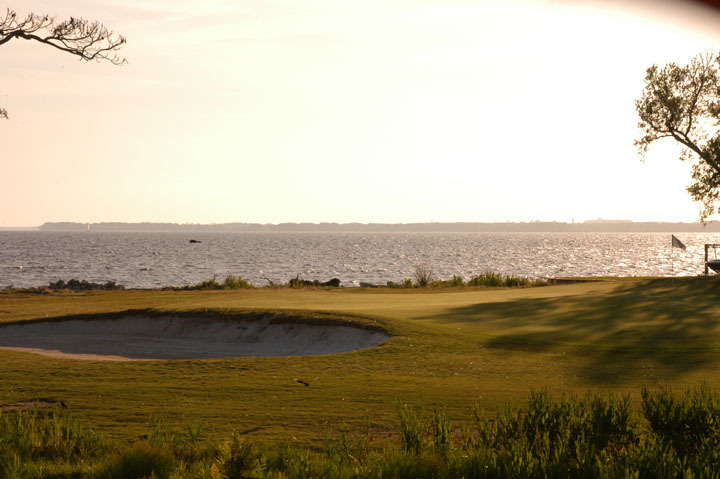 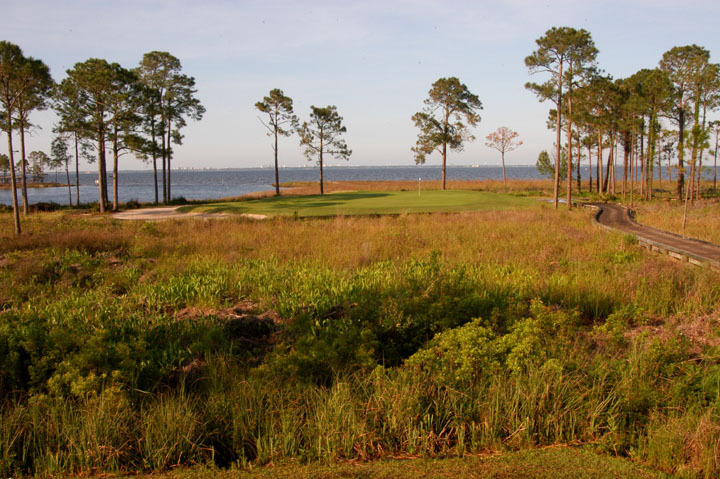 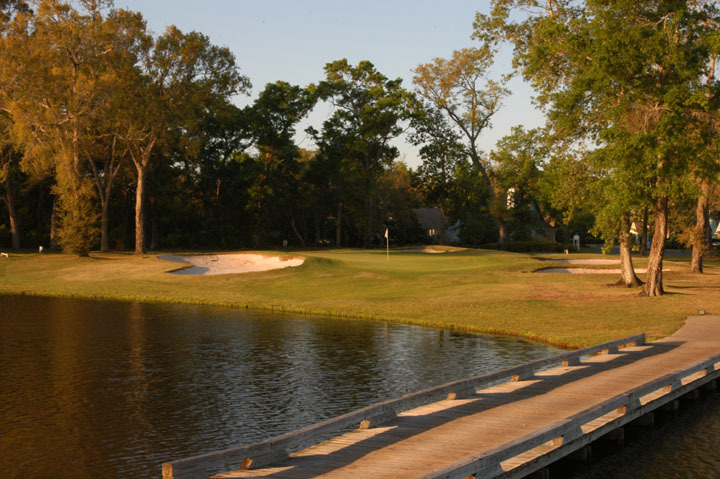 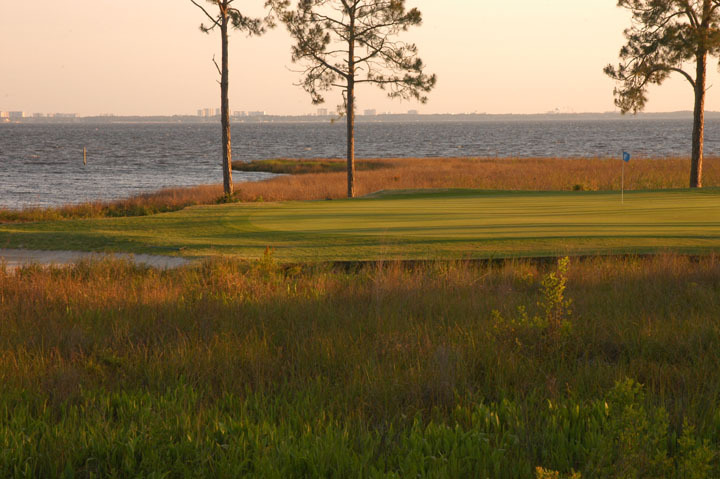 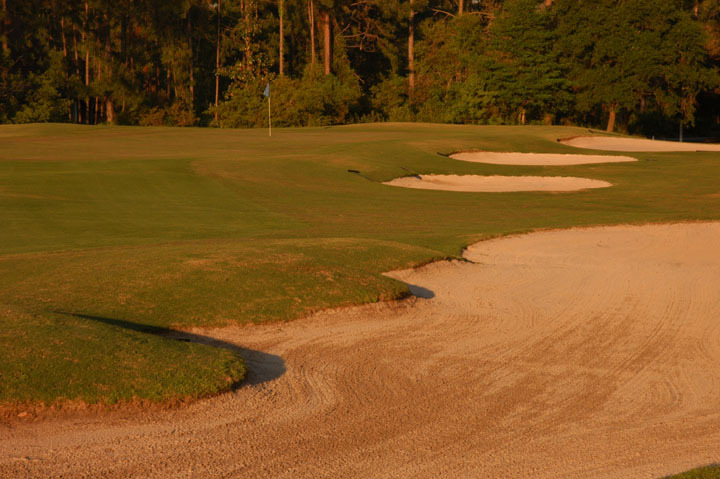 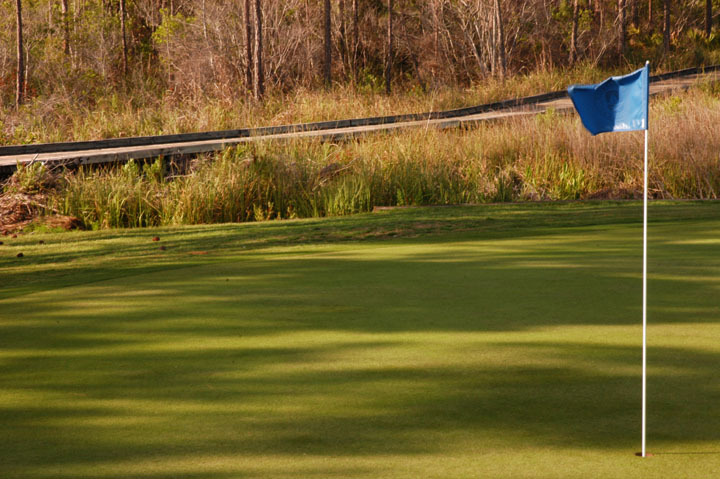 Caddie's Summary: Bluewater Bay Resort hosts four nines (Bay, Marsh, Lake and Magnolia) where the golfer can play any combination he/she wishes. 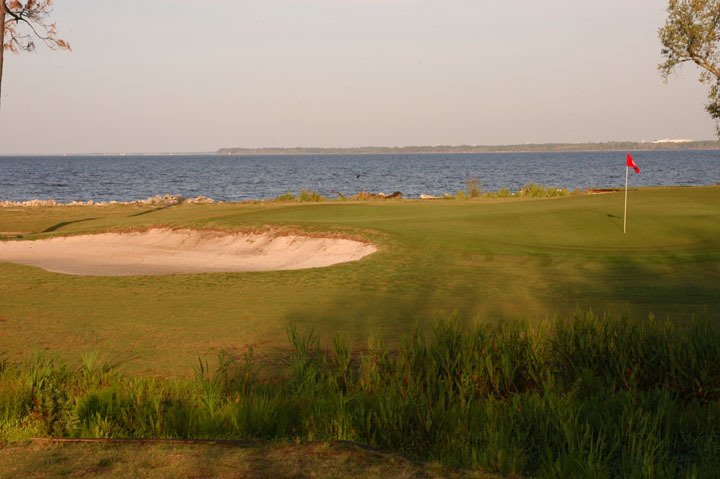 The Bay and Magnolia courses are photographed below. 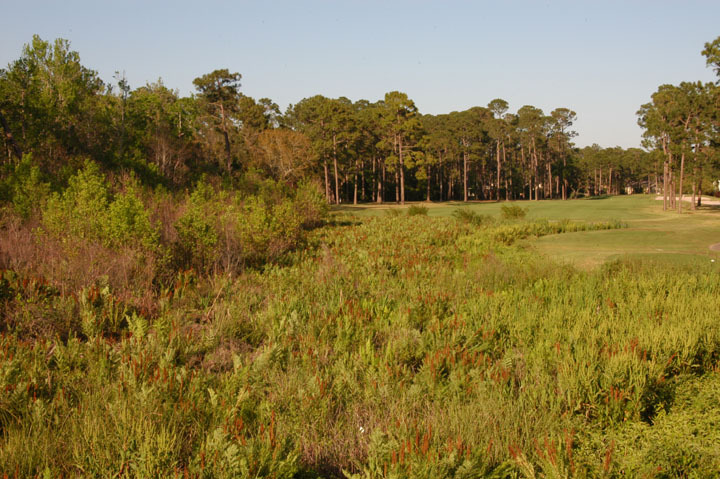 With some beautiful tee shots, marsh lands and mature woods surround the course. 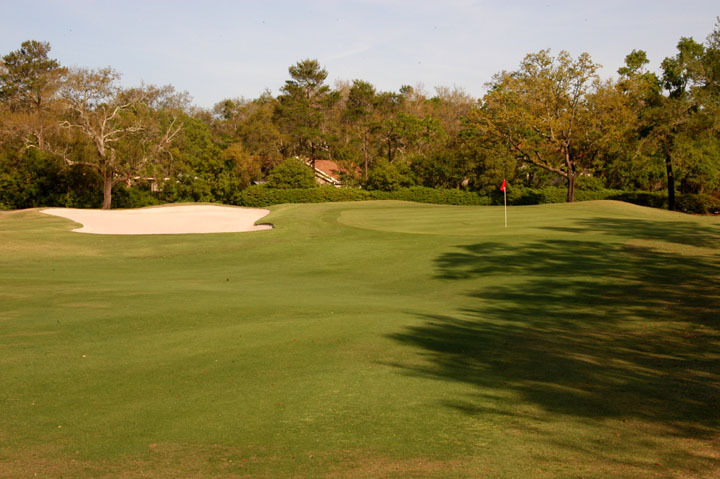 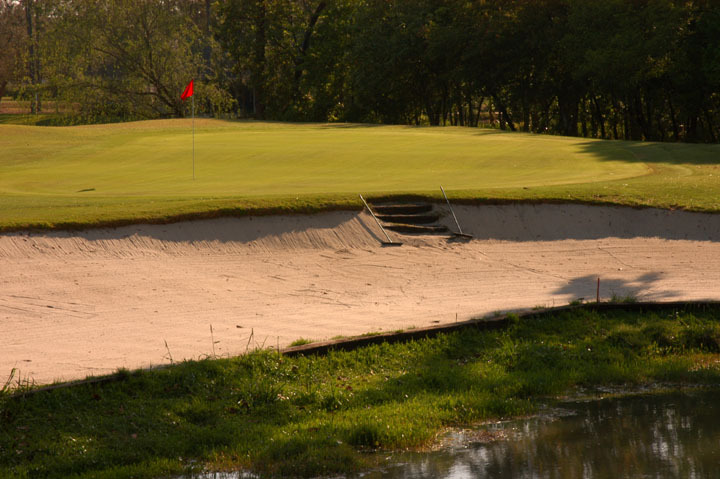 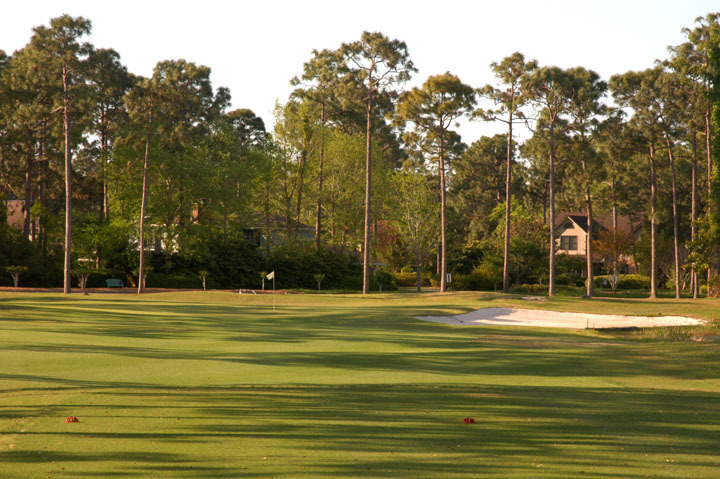 Development has homes also located around the golf course but are often removed or covered in trees. 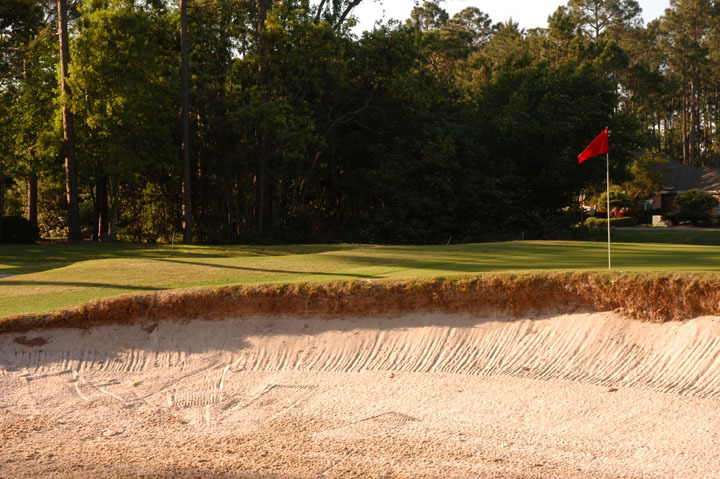 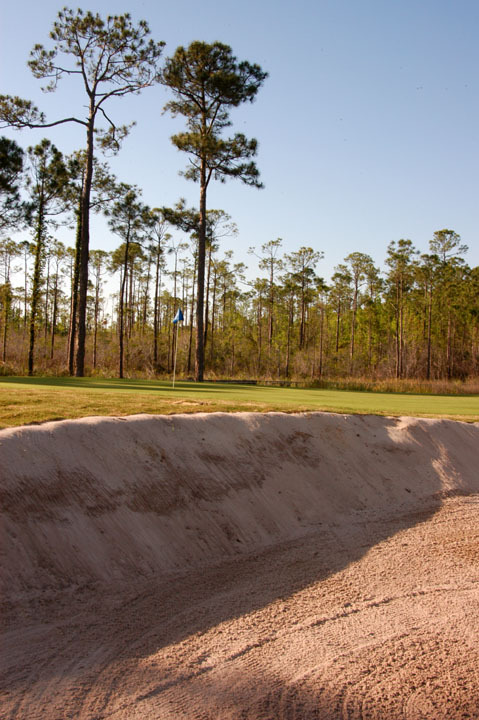 Both nines play similar with relatively open tee shots and large bunkers (white sand) protecting the greens. 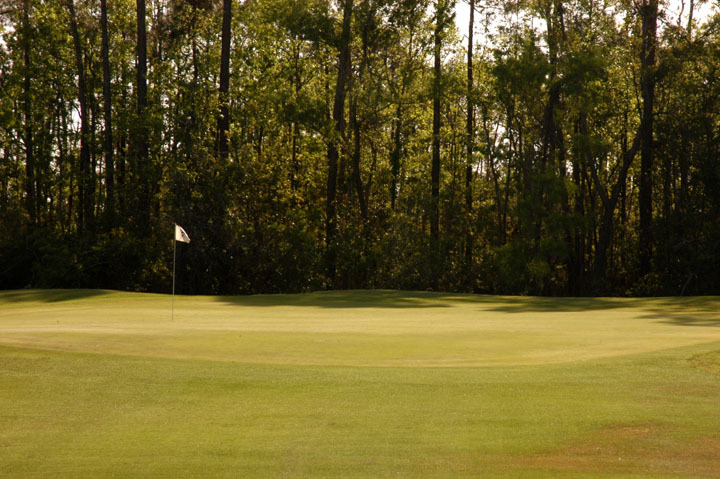 The track is ideal for beginners and low-handicappers alike. 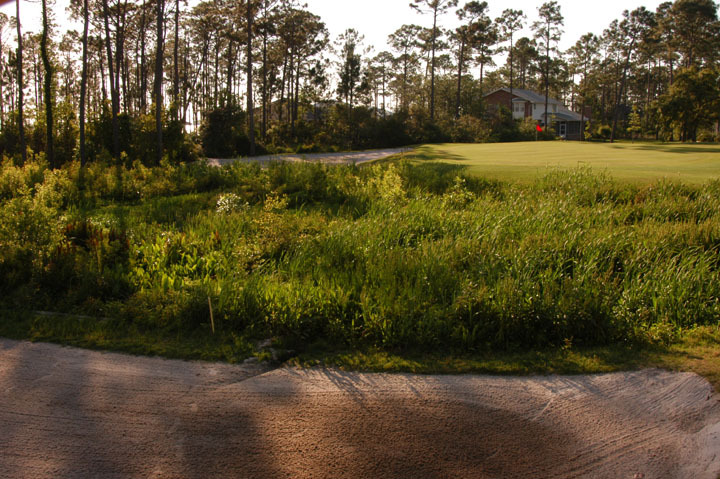 The short nature of the course is a bit deceiving as many four fours and par fives have severe doglegs and the driver must remain in the bag. 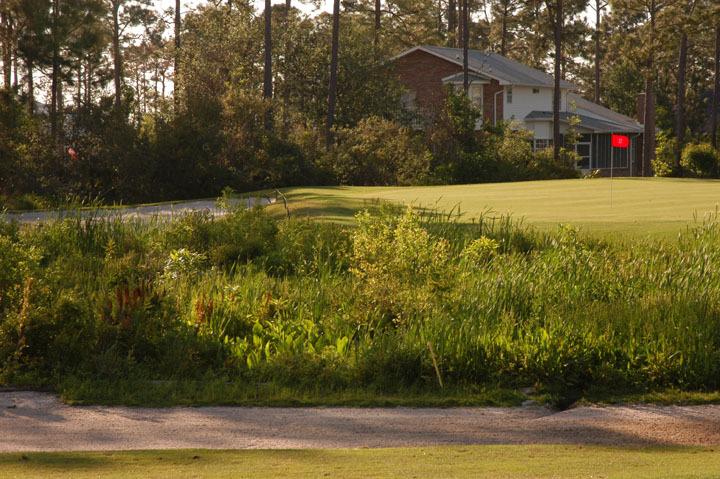 Excellent location for resort golfers.